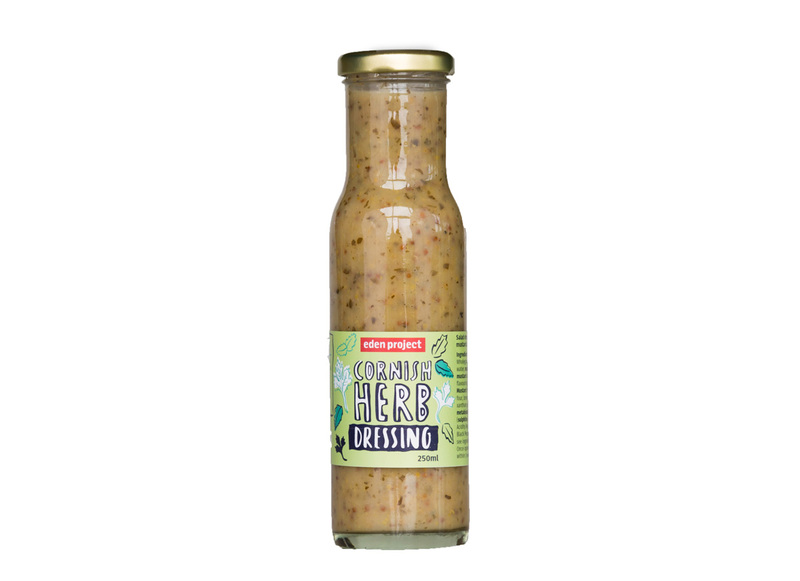 A tasty herb dressing made in Cornwall with honey, lemon juice and mustard. Delicate, subtle and delicious on all salads. Honey 27.5%, Sunflower Oil, Wholegrain Mustard 18% (white wine vinegar, water, mustard seeds, honey, salt, brown mustard seed husks, natural spice flavouring, tarragon), Lemon Juice 9%, Dijon Mustard (spirit vinegar, water, mustard flour, brown mustard seeds, husks, thickener: xanthan gum, preservative: sodium metabisulphite), Red Wine Vinegar (sulphites), Herbs 1.6% (parsley, mint) Garlic, Acidity Regulator: Citric acid, Salt, Cracked Black Pepper.